Two glorious days of fun and entertainment for all the family... All ethnic groups will find much to enjoy at the 151st Gathering & Games! For ticket sales go to our website at: www.thescottishgames.com or call 1-800-713-3160. General Information call: 1-888-769-2345. A unique opportunity to view a contemporary dance �work in progress.� Stop by the theater and watch as Diavolo�s artistic director, Jacques Heim, directs rehearsals and final preparations for his newest work. �L.O.S.T. (Losing One�s Self Temporarily),� set to debut later this fall in Oregon, is a reflection on how our physical space can affect and manipulate our identities. Rehearsals are open throughout the afternoon, visitors should be aware that some work will involve just sets and lighting, and regular breaks will be taken. Admission is free, check in at the visitor�s desk before entering the theater. On Sunday and Monday of Labor Day Weekend, Livermore Valley wineries celebrate the exciting crush season and 35 years of the Harvest Wine Celebration. 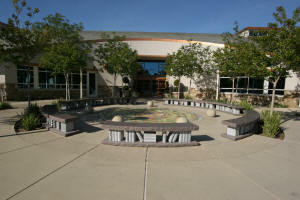 Each winery hosts activities including wine tasting, arts, crafts and music. Don't forget to come back on Monday for additional tastings at each of the participating wineries. Wine lovers have come from all over the Bay Area and beyond for the past 35 years to enjoy this unique event. This exclusive event is open only to ticket holders- don't miss out on this wine country celebration! Tickets include wine tastings, commemorative Livermore Valley Wine Country glass, wine discounts and a program. Ticket sale proceeds benefit the Livermore Valley Winegrowers Association, a non-profit organization which supports the wineries and growers in the Livermore Valley American Viticultural Area. We appreciate your support. Admission: $45 pre sale (through Saturday 9/3, 12pm) $55 day of the event at participating wineries. Non-Drinking Ticket $10. This is an adult event. Children are discouraged to attend. Pets are not allowed. More info: Livermore Valley Winegrowers Association or Call 925-447-WINE (9463) for more information. Be a part of this community kinetic mobile art project. You�re invited to participate in workshops runs by Mobile Sculptor Kevin Reese to create hanging art that will be balanced and suspended in the lobby of the Bankhead Theater, visible from both floors. Sign up for the free workshops open to all ages that will take place at the Bothwell Arts Center the week of September 6-8 with the grand finale unveiling for September 10 during the Bankhead Theater�s �Brilliance at the Bankhead� Gala. The mobiles will be up for viewing by the general public starting on Sunday, September 11 at 12 noon. This cool community art project is a great opportunity for all ages, regardless of previous art experience to create. Kevin will lead the workshop participants in all aspects of mobile building: designing, cutting out, painting, balancing. The workshops are free but limited to 25 participants. A special presentation of a �work in progress�, innovative dance group, Diavolo|Architecture in Motion will preview their newest work by Jacques Heim, �L.O.S.T. (Losing One�s Self Temporarily),� set to debut later this fall. A reflection on how our physical space can affect and manipulate our identities, the show is in two parts: Passengers, showing how people can be caught in a wild loop as their state of mind shifts and Cubicle, a representation of how environment compresses identity, erasing an individual�s uniqueness. Over Kathleen Madigan�s 25-year career as a comedian she has performed on nearly every stand-up and late night television show. She fell into stand-up comedy accidentally after wandering into an open mic night, but went on to become the only comedian in the history of NBC�s �Last Comic Standing� to go unchallenged. Whether on television, on stage, or on a USO tour, Madigan brings an innate sense of humor and infectious sense of fun to everything from politics and current events, to family and more. Admission: $250 (No discounts, as this is a fundraiser. Jeanne Marie Laskas is one of the most incisive and appealing voices in contemporary journalism. She found the unlikely story of Bennet Omalu, the Nigerian immigrant pathologist who made one of the most significant medical discoveries of the 21st century � football, like boxing, can cause brain damage � a condition called chronic traumatic encephalopathy (CTE). Her 2015 New York Times bestseller Concussion was based on her 2009 GQ article about the NFL concussion scandal and released to coincide with the Will Smith film of the same name. Join us at the Bankhead Theater on Wednesday, September 14 and learn how the story came together and the ongoing controversy of football player safety. Since 1959, the Shanghai Acrobats of the People�s Republic of China have mesmerized audiences of all ages with their eye-catching acrobatic displays set to traditional music. Stunning feats of physical movement and balance are executed using poles, hoops, balls, lanterns, and spun silk in a magnificent show filled with wonder and excitement. The troupe has won prestigious awards throughout Asia and beyond with spectacular staging and visuals that leave audiences spellbound and cheering for more. Nouveau flamenco guitarist Ottmar Liebert is renowned worldwide for his innovative contemporary style incorporating musical influences from rock to reggae. He redefined the art form more than a decade ago with his signature song �Barcelona Nights� off his double platinum debut album Nouveau Flamenco, which remains one of the best-selling guitar albums of all time. Liebert�s rich, sensual sound and relaxed, intimate performances find enthusiastic audiences across all musical genres. Pleasanton Quilt, Craft, & Sewing Festival. The Festival features a wide variety of supplies, notions, patterns and techniques in the areas of quilting, sewing, needle-arts, stenciling, embossing, crystals, fabric crafts and more. Many booths will feature innovative products that are brand new to the market. Whether this is your first time at the Festival or you've been a long time loyal attendee, you won't want to miss this year's event. It is so colorful, creative & cool! Come on out and visit with your friends and you'll be able to see, try & buy all those supplies to make your projects even better! The San Francisco Comedy Competition has helped launch a Who�s Who of comic champions. Over the years, legends such as Robin Williams, Dana Carvey, and Ellen DeGeneres have emerged from this stand-up comedy contest to become stars. Hundreds apply, hoping to move from preliminaries to finals in four weeks of almost nightly shows before judges and audiences. Now in its 42nd year, this fierce competition still keeps audiences on the edge of their seats � until they�re rolling in the aisle with laughter. MYTHIC ROMANCE. MONUMENTAL MUSIC. Cursed to wander for all eternity, the Dutchman sets foot on land to find true love that will set him free. Senta, a young woman, is obsessed with him. Can this be his chance for redemption? For twenty six years the club has held its Nostalgia Day Car Show on the streets of downtown Livermore, where the show has grown to display 700+ muscle cars, street rods, custom and classic cars and draws over 10,000 spectators annually. Our motto has always been "Cruisers Against Drugs", and our annual Nostalgia Day Car Show has allowed us to prove that we mean it. To date, this fundraiser has enabled us to donate over $430,000 for local organizations that promote the Tri-Valley youth, help strengthen their families and help keep kids off drugs & alcohol. We truly appreciate your support, and look forward to seeing you again this year. See photos from the 2014 show. If you�re a fan of Muddy Waters and Bo Diddley, or even Led Zeppelin, Jimi Hendrix, or the Rolling Stones, then you�ve heard the songs of Rock and Roll Hall of Fame legend Willie Dixon. As the Big Head Blues Club, Big Head Todd and the Monsters join forces with three second-generation blues stars, Mud Morganfield, Billy Branch and Ronnie Baker Brooks, to pay tribute to Willie Dixon, a pillar of modern blues and one of the most prolific and influential songwriters in contemporary blues and rock n� roll. A timple virtuoso from Gran Canaria, one of the largest of the Spanish Canary Islands, Germ�n L�pez was a musical prodigy. He learned to play the diminutive five-stringed instrument intrinsic to the music of the Islands early, and entered the Conservatory of Music in Las Palmas at the age of seven. Since receiving his master�s degree, he has appeared at numerous venues and festivals. Germ�n L�pez infuses the ancient musical traditions of the Canary Islands with inspired and contemporary flair. Buried Alive, The Attack, Pirates of Emerson, Mental Maze, Wild Woods, Virus! Special Features: An event not to be missed for any true adventurist! Featured on the Discovery Channel as one of the 7 scariest haunted housed in the country, The Pirates of Emerson is a very intense atmosphere, with extensive use of smoke, strobe lights, animatronics and scores of freaky costumed characters. Not recommended for children under 13. Doing our best to make Pleasanton UN-Pleasant! SPEED PASS - ADD $10.00 Tired of waiting in lines? A Speed Pass will allow you to bypass the normal lines and use a special entrance into the Haunted Houses. The only other people in these lines are other Speed Pass holders. With your Admission ticket, it will allow you priority entrance into all 4 Haunted Houses and the Dark Gauntlet! TWICE THROUGH - add $10.00 Can't get enough? Twice Through will allow you to go through each Haunted Attraction TWICE! With your Admission ticket, it will allow you Twice Through privileges to all 4 Haunted Houses and the Dark Gauntlet. On Sundays the Twice Through upgrade is given free to every customer. If you plan to come on a Sunday DO NOT SELECT THIS OPTION for online sales. No refunds if you buy this option and then come on a Sunday. Also, Twice Through is only sold or honored until 60 minutes prior to close. Entry after this time will not allow enough time for Twice Through. Group Sales available for 20 or more tickets. Generally 20% off. Available only online.